One of the announcements I missed at VMworld Europe 2011 in Copenhagen was the announcement of VMware and Nvidia delivering 3D graphics to VMware View. VMware announced that they are in a partnership with NVIDIA to deliver high-end virtual workstations with 3D graphics support in VMware View. We’ve have the ability to deliver 3D graphics from workstations in the datacenter for years by using physical blade workstations. But now VMware is trying to deliver true 3D performance from the datacenter by using virtual workstation in VMware View by partnering with Nvidia. 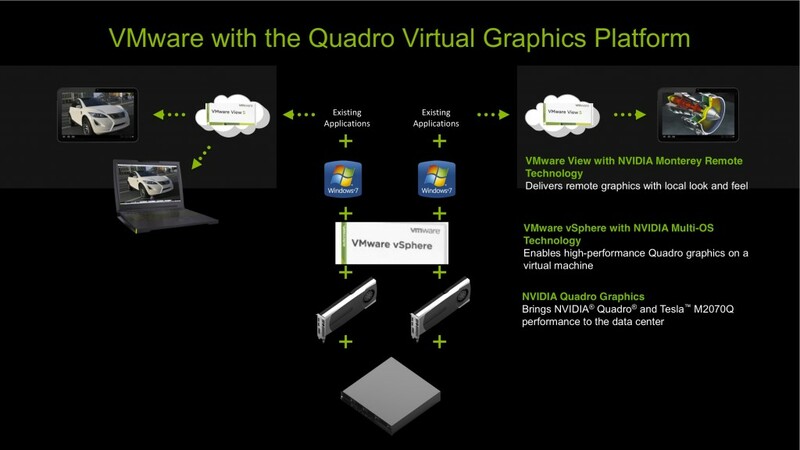 Nvidia is solving that with the release of their ‘Quadro Virtual Graphics Platform’, something they announced in August 2011. The Quattro Virtual Graphic Platform requires one Nvidia card for each user. So the number of high-end VDI users per host is probably limited by the number of expansion slots in a server. 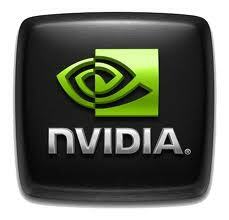 The NVIDIA virtual graphics capability is built on four components. The Nvidia multi-OS, Nvidia Monterey, Nvidia Quattro graphics cards and client devices. Multi-OS is a core technology that plugs into a hypervisor that allows it to pass the graphics cards through to the virtual machines. When Multi-OS is present in the hypervisor, the virtual machine will be able to get a direct pass-through to the GPU card. The VM runs the regular drivers from NVIDIA, and any guest OS that supports that graphics card is supported. Monterey is a technology that transports the rendered pixels from the GPU to the remote protocol engine. According to Nvidia is so fast that they can provide the pixels to the hypervisor faster than they can render to a local display via DVI. The core of the virtual graphics platform capability is built around Nvidia’s existing Quadro graphics cards from the 2000 to 6000 models. The power of this technique is that any client device can be used because all processor intensive graphic workloads are processed in the datacenter. 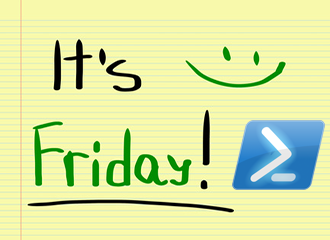 So you can use a regular thin client or an iPad as your client and still use 3D graphics with great performance. VMware expects that 3D graphics in VMware View will be available soon.